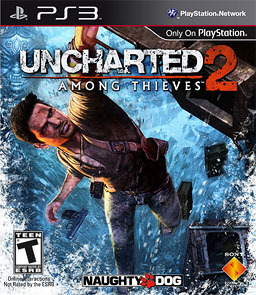 For most of this review, I'll be comparing Uncharted 2: Among Thieves against Uncharted: Drake's Fortune, with specific reference to my less-than-flattering review of that game. In short, though, I liked this game a whole lot more than the first, and there are a lot of reasons why. Broadly, it's because it improved on the first game in every possible way, including in the enjoyment department. All of that said, I still don't think it's worthy of legions of fanatical fans, or a review score in the 90s. Then again, I have a rather different view of what numerical scores should mean than most mainstream gaming sites. But enough rambling! On with the review! Much like previously, the game's characters are a definite strong point, and it was good that there were a few more characters in the game. I really liked that we got a better understanding of Drake's relationship with one of the main villains. In the first game, there was implied history, but it was never really explained. In Among Thieves, we gain a much better understanding of the background story to the main plot, including Drake's relationships with other characters in the game. The character's are still all very cliché, but charmingly so rather than irritatingly. The story is much more original, more complex, and better told than the original game. More or less the same could be said about the setting, which is much more varied, and, consequently, more interesting, than the jungle island of the first game. 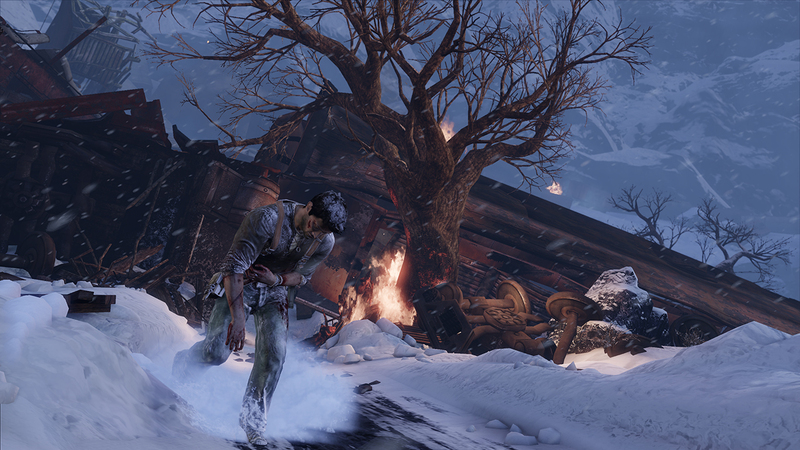 This time around, I did get quite engrossed in the story, and in the game's exotic locations. 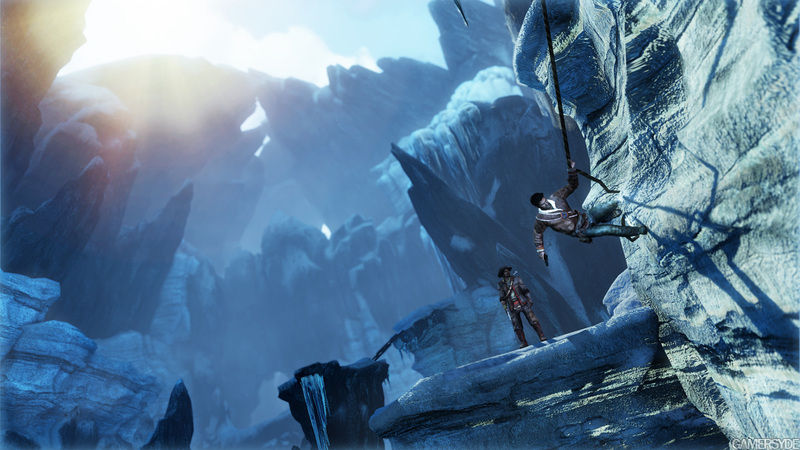 Uncharted 2 looks good, but it doesn't, in my opinion, look great. Technically it's quite modern, and there are some pretty impressive locations in this one, but I still felt that the game lacked flair. It looked good, but it never went that extra mile to be really breath-taking. At least the oddities about the first game's presentation have been rectified. The sound is much better in this game. It's nothing amazing, but there's a distinct improvement. The music isn't particularly invasive, but it suits the game well and does do a bit to augment the atmosphere of the environments and the general tone of the game. All in all, a significant improvement across the board, but still nothing really amazing in terms of presentation. The gameplay isn't significantly different from in Drake's Fortune, and yet it plays so, so much better. My biggest complaint with the first game was to do with dull gunfights and shoddy pacing. Among Thieves, on the other hand, only has a few fights that feel tacked-on – the majority of the confrontations in the game are dramatic, interesting, and have a definite place within the over-arching theme. There's also a fair bit more down-time in the game between fights, which helps to keep them from losing impact, as well as some new enemy types to make things more interesting. What's a Russian gunship doing here!?!?!?!? The platforming and puzzles have both been improved a fair bit. I'm not a huge fan of platforming in any game, but in Among Thieves it was fairly satisfying and never frustrating, which is a good accomplishment. There were a couple of decent puzzles in the game, helped along by the fact that your journal doesn't automatically open to the page you need, but I felt like they could've done a lot more with the journal by having more and harder puzzles. They were better than the first game, but still very easy. They mix up the gameplay a little bit more with some opporunities to use stealth, which work fairly well, although there's rarely a good reason not to just shoot your way through instead. Still, it helped keep a little more variety in the game. Set-pieces make a return (thankfully the game doesn't actually make you do any driving this time around, but you do use vehicles in some of these), but this time they're as huge and dramatic as they should've been in the first game. There are some really strong, exciting, dramatic moments in the game, and it's a lot of fun to play through them. There are also some levels that are very exciting in general, and are chocked full of scripted action while still feeling very natural and flowing smoothly. Sadly, the events leading up to this are too awesome to be shown on the internet. All in all, Among Thieves has very solid game-play indeed, and there's quite a lot of enjoyment to be had here. I only played a little bit of multi-player (it was kind of hard to find a game). It seemed pretty solid, but not interesting enough to warrant a couple of hundred hours of play. 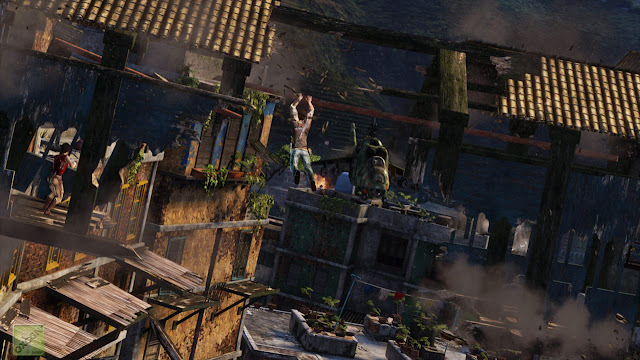 Uncharted 2: Among Thieves improves on the first game in every department and ticks pretty much all of the right boxes. It's still not very innovative, but this time around it is a very strong example of the genre, instead of one that was merely “good enough”. It's a fair bit longer than the first game, and is very satisfying to play through. I doubt I'll want to play it more than once, though, so again, I recommend a rental, but this time, it's actually a pretty strong recommendation.